A major glacier in Greenland that holds enough water to raise global sea levels by half a metre has begun to crumble into the North Atlantic Ocean, scientists say. The huge Zachariae Isstrom glacier in northeast Greenland started to melt rapidly in 2012 and is now breaking up into large icebergs where the glacier meets the sea, monitoring has revealed. The calving of the glacier into chunks of floating ice will set in train a rise in sea levels that will continue for decades to come, the US team warns. Mouginot and his colleagues drew on 40 years of satellite data and aerial surveys to show that the enormous Zachariae Isstrom glacier began to recede three times faster from 2012, with its retreat speeding up by 125 metres per year every year until the most recent measurements in 2015. The same records revealed that from 2002 to 2014 the area of the glacier’s floating shelf shrank by a massive 95%, according to a report in the journal Science. The glacier has now become detached from a stabilising sill and is losing ice at a rate of 4.5bn tonnes a year. Eric Rignot, professor of Earth system science at the University of California, Irvine, said that the glacier was “being hit from above and below”, with rising air temperatures driving melting at the top of the glacier, and its underside being eroded away by ocean currents that are warmer now than in the past. “The glacier is now breaking into bits and pieces and retreating into deeper ground,” he said. The rapid retreat is expected to continue for 20 to 30 more years, until the glacier reaches another natural ledge that slows it down. The scientists recreated the history of the glacier from aerial radar, gravitational measurements and laser profiles, and from radar and optical images taken from space. The combined data reveal the changing shape, size and position of Greenland glaciers over the past four decades. To the north of Zachariae Isstrom, the scientists studied a second large glacier called Nioghalvfjerdsfjorden. 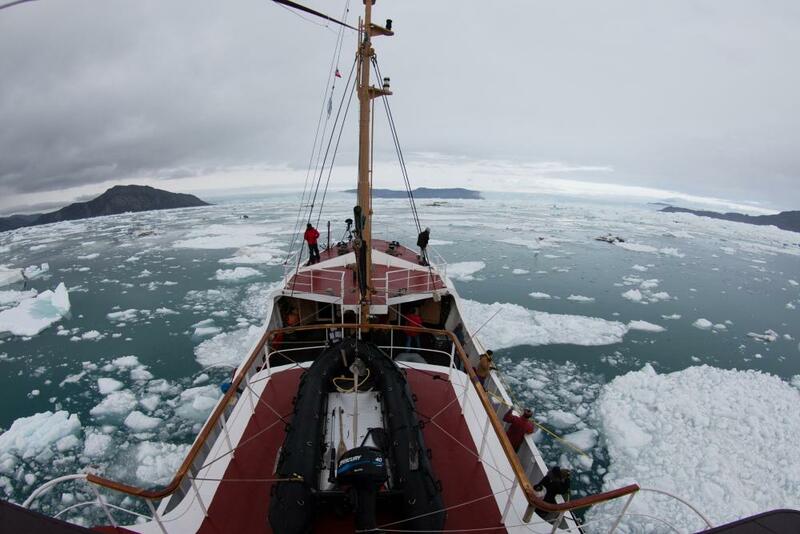 Together, the two glaciers drain a region of nearly 200,000 sq km, amounting to 12% of the Greenland ice sheet. Were both to melt, they would contribute a full metre to global sea levels. The monitoring showed that Nioghalvfjerdsfjorden glacier was also melting rapidly, but retreating more slowly than Zachariae Isstrom along uphill terrain. If the thinning continues at today’s pace, the scientists believe the ice shelf will become vulnerable to break up in the near future. The bleak assessment of the glaciers’ retreat comes only months after Nasa launched an urgent six year project called Oceans Melting Greenland, aptly contracted to OMG, to understand the processes that drive the loss of Greenland ice.